For many chefs, the most powerful tools of inspiration aren’t specific ingredients or culinary training — they are experiences. Traveling, whether it’s a hundred miles away or a thousand, is an opportunity to expand your horizons, discover a new cuisine, and live within a different culture. Stepping outside one’s comfort zone, as a chef, gives way to the kind of creativity and innovation that has produced some of the country’s top restaurants. As we continue to celebrate culinary tourism with our #WillFlyForFood survey, we spoke to chefs and restaurateurs about the trips that had the biggest influence on their spots. Keeping a clean and organized kitchen during service is a challenge for any chef, but the trend of open kitchens in restaurants means that there’s even more pressure since guests have a front row seat. During the planning process, Isabella and his team knew that the open kitchen concept would bring along an additional set of challenges. “We wrote the menu thinking about what was going to be cooked where and how we could divide it for the different stations,” he remembers. Six years later, the open kitchen has become a focal point of the dining room for those people sitting at tables or perched on one of the 15 bar stools along its edge. Here, Isabella shares a few things he and his team have learned about running an open kitchen and what advice they have for other teams about how to use the concept to add to the guest experience. It’s a good thing chef Ken Oringer has razor-sharp wit and knives to boot — it’s helped him get thousands of small plates and big smiles out of the open kitchen at Little Donkey. Those who’ve been lucky enough to get a reservation at the latest in his empire are giving two thumbs up to a global fusion menu that reflects sashimi, sushi, and Asian street food concepts from Uni, Italian enoteca staples from Coppa, and tapas from Toro. The James Beard Award winner has three locations of the latter, in New York City, his adopted hometown of Boston, and mostly recently in Bangkok. World travels — often along with his posse in the kitchen, like Instagrammer extraordinaire Jamie Bissonnette — have inspired most of what’s on his plate. 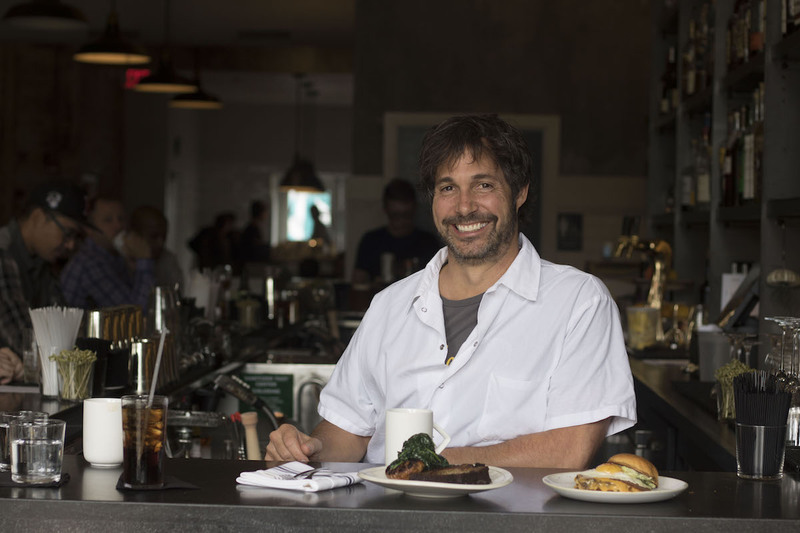 Here Oringer dishes on friendship, fatherhood, and food trends. In the past few months, you’ve been to New York, New Orleans, and you’re a big Aspen Food & Wine guy. How have travels contributed to your skills as a chef? Travel has been the most important inspiration behind all the restaurants. Every time I go to another city I try and go off-the-beaten track and sample the street food. It’s important to try flavor combos and dishes I’ve never seen before. All of these fuel my curiosity for creating new dishes and bringing unique ingredients back to the States. What’s your favorite destination, and where are you off to next? I’m dying to try Lima, Peru. Being a huge ceviche fan and loving any place on the ocean, I’m looking forward to getting there in the next year. Travel and the kitchen are both unpredictable — what’s gone wrong and how have you gotten yourself out of a jam? The only thing that really goes wrong is being a little too adventurous and probably eating things that are in severe violation of health code etiquette, which has occasionally slowed me down for a day or two. I make sure to pack plenty of meds to get myself back in action! You have a ton of friends (such as Ming Tsai, Blue Dragon) and travel comrades. What does that add to the experience? Ever had any “Hangover”-like nights? The more people you can travel with, the more you can experience, and the more of an adventure it becomes. It’s really nice to be able to have an intelligent discussion around a big table, breaking bread with both travel companions and locals, to really soak up the culture. What are you most proud of — in other words, what is success to you? I am most proud of my kids (an 8-year-old daughter and 4-year-old son) and their love of adventure and food. And success, to me, is feeling good walking into your restaurants and knowing that the culture that you’ve created you can feel throughout the entire team. Are your kids easy to please or are they high-maintenance in terms of what’s on the plate? Do you think they’ll pursue the family business some day? My kids are willing to try almost anything except for certain vegetables. They love to play “Fear Factor”—they’ve eaten bugs in Mexico, fish eyeballs, live sea urchin. They’re pretty much game for anything.